Our goal is to make your event memorable and to provide the highest standard musical excellence at an affordable price. 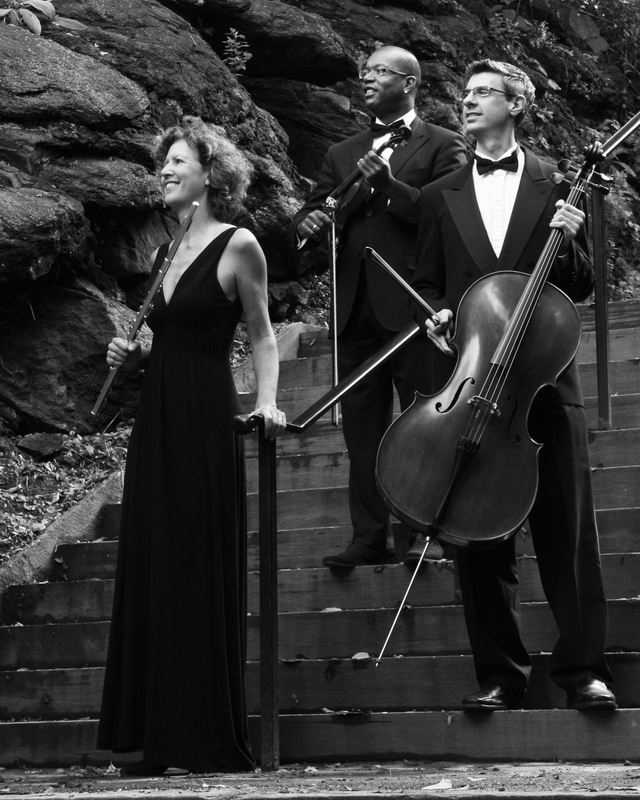 Established in 1998, The Four Seasons Ensemble is a professional flute and string trio/quartet that has performed at over 1000 weddings. The event coordinators of the legendary Russian Tea Room, Tavern on the Green and Aquavit Restaurant regularly booked The Four Seasons Ensemble for years. Seasoned Professionals, the members of the Four Seasons Ensemble are graduates from top conservatories in the country and currently are working on Broadway and can be heard on recordings of major artists and television and movie soundtracks. They have performed in Carnegie Hall and Lincoln Center as well as major concert halls worldwide. Variety of styles– Classical, Pop, Broadway, light jazz. Special requests for music can usually be accommodated. Choose the musical group that best suits your event. Our core trio/quartet is flexible in instrumentation and size, offering additional instruments such as trumpet, harp, guitar and piano to create the perfect ambiance for your event. Most requests for customized instrumentation can be accommodated. Copyright © 2019 The Four Seasons Ensemble All Rights Reserved.